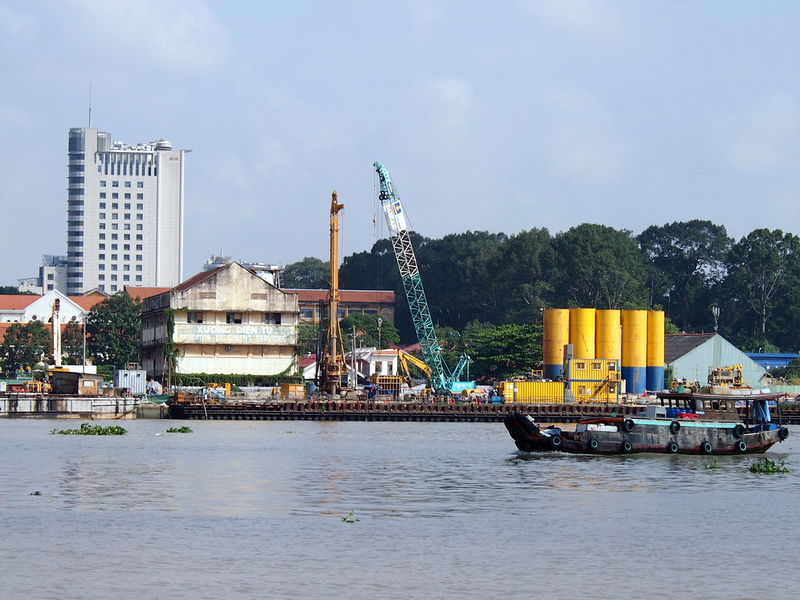 Saigon is undergoing a construction boom, which is especially apparent when you walk around District 1. The news is also filled with project announcements, though some of these are repeatedly published without actually having started. Then there are the stalled and abandoned projects that litter the city skyline. To make sense of what is going I’ll be listing the major projects into proposed, under construction, and stalled/abandoned. 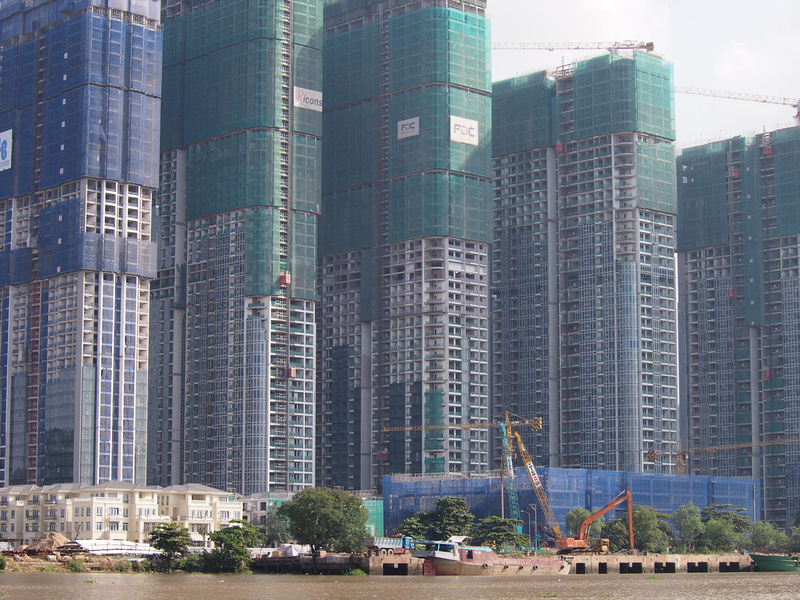 These are projects that are currently under construction in Saigon. I will keep this list updated by adding new projects as they start, and moving finished projects to a completed projects page. 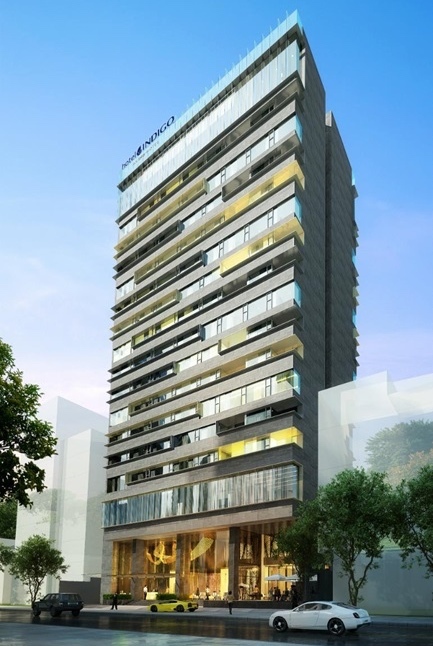 Location: Vinhomes Central Park, 720A Dien Bien Phu, Binh Thạnh District, HCMC. 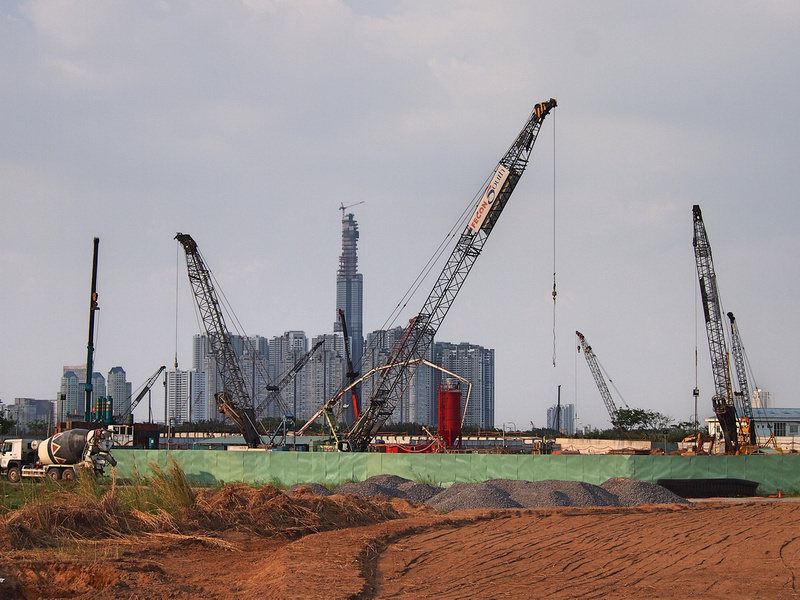 Lets start with the big one – The Landmark 81. This tower has a self-descriptive name as it has already become a landmark of the city, and it has 81 floors. 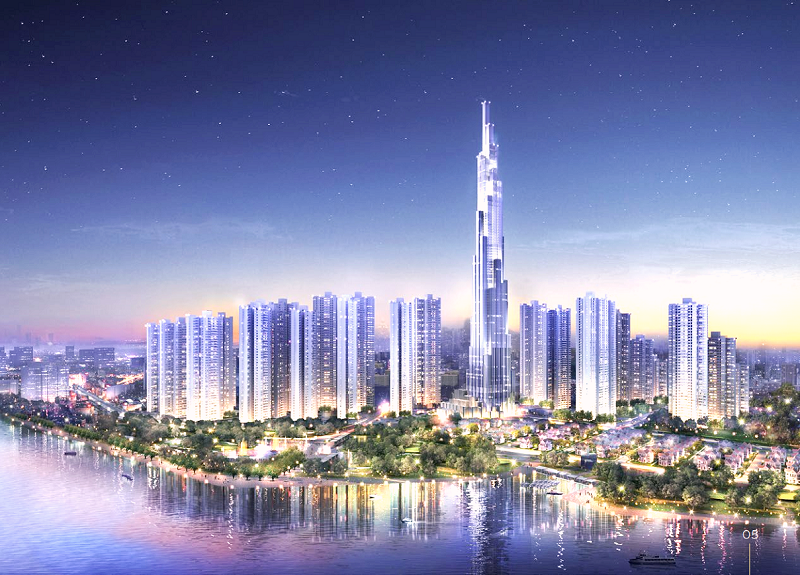 The Landmark 81 is not finished yet but it’s already is the tallest tower in Vietnam, and now the tallest building in Southeast Asia. For such a big project this has gone up surprisingly fast. The building topped out at 461.2 metres 46 days ahead of schedule. 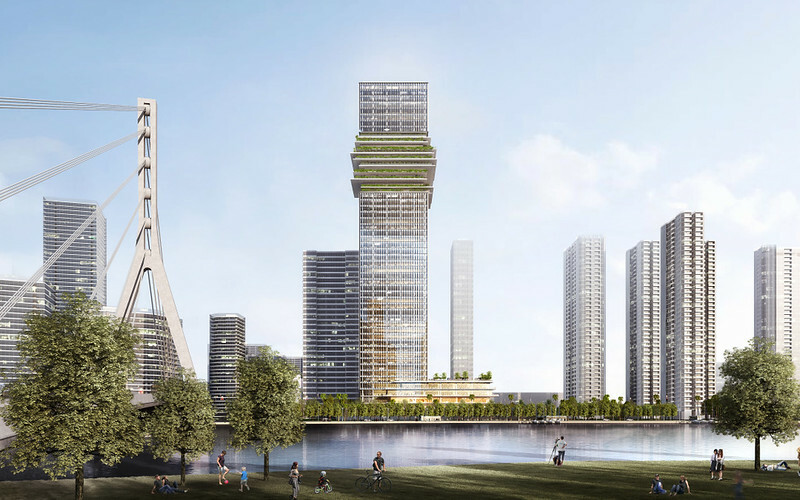 The tower design is inspired by a bundle of bamboo, with sections tapering off to leave one final bamboo stick at the top. 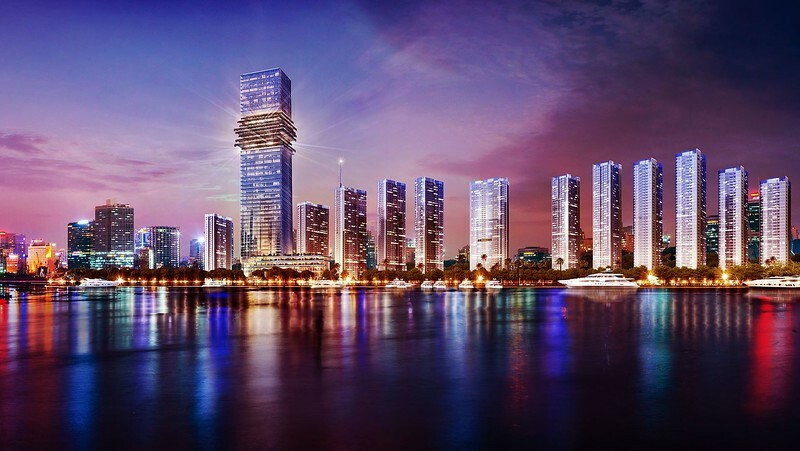 It’s a beautiful design that will rank proudly among the best skyscrapers in the world. It will include a hotel, apartments, and shopping. 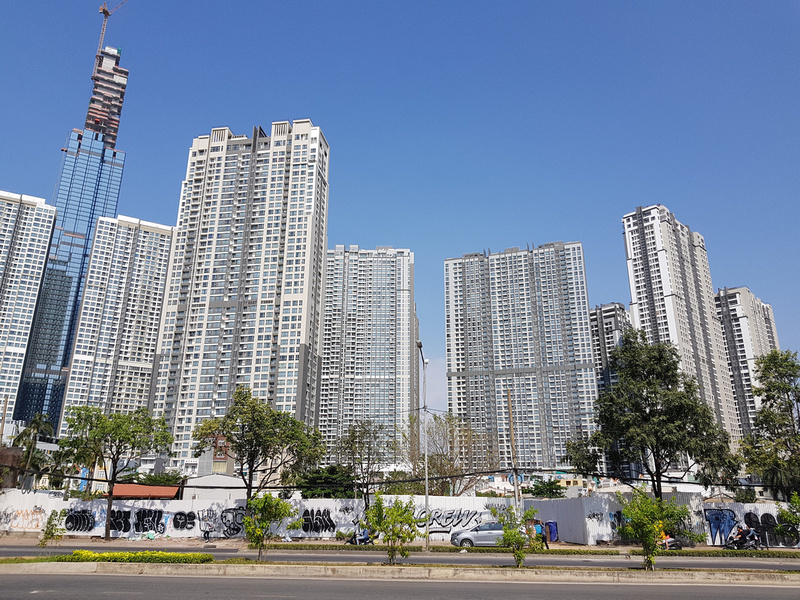 Vinhomes Central Park went up just as fast as Landmark 81, and it’s all but finished by now. (I will move it to the completed projects page soon.) Technically the Landmark 81 tower is part of Vinhomes Central Park, though it stands out as a project in itself so I placed it separately. It’s an odd design to say the least. 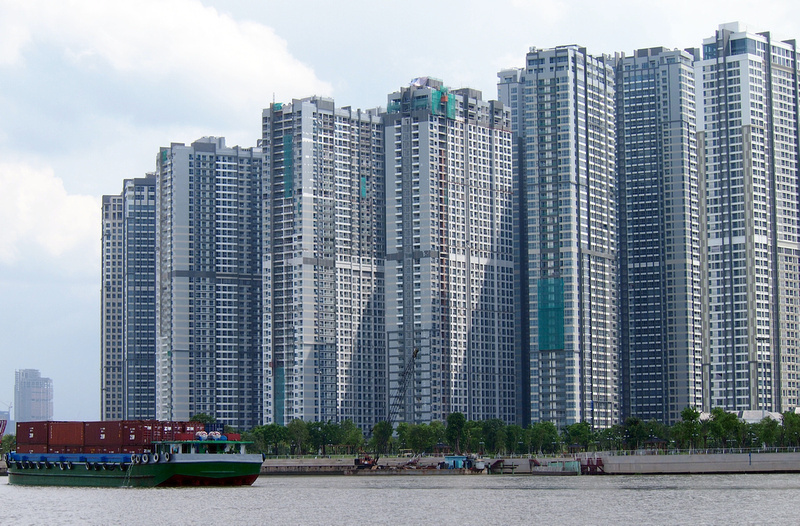 This high-density cluster of apartments looks more like a housing commission project in Hong Kong. The apartments are facing each other rather than making the most of a river view. I’m not sure why the apartments are clustered around what should be the jewel of the city (the Landmark 81), blocking the view from District 1. On the plus side, the new park that goes with it is wonderful. 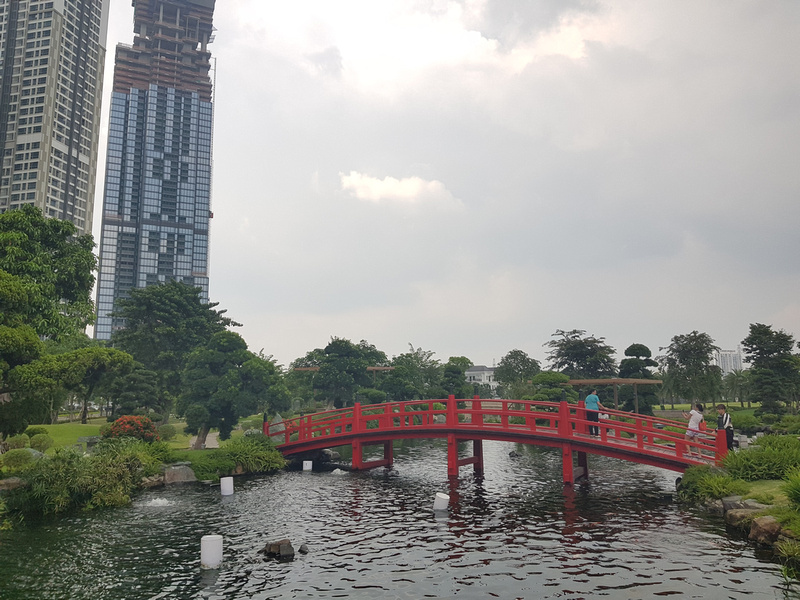 Aside from naming it after an already famous park (why not give it a Vietnamese name) it’s a rare event to see a new urban park open in a big city. The park is already proving to be popular, so I hope it sets a precedent for more open space planning. The apartments are filling up now, and life on the ground level is developing, with shops and restaurants adding life to the area. Location: 2 Ton Duc Thang, Ba Son, District 1, HCMC. 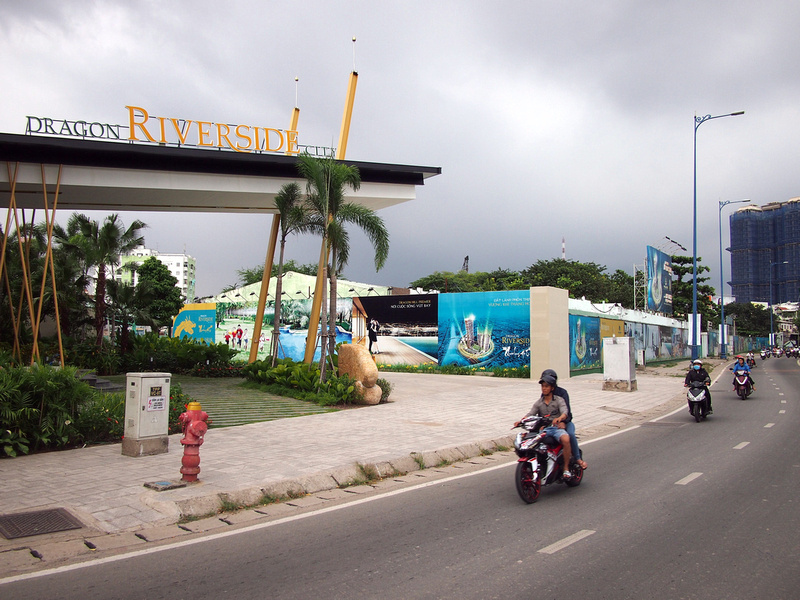 The other big riverside project by Vinhomes is Golden River. Occupying a prime waterfront location in District 1, this development features several apartment towers and villas, and is the site of one of the metro stops on the future Line 1. Like the Central Park apartments, the towers here are stacked together in tight clusters rather than facing the river. This project came at a great cost to the city’s heritage. The site is on the former Ba Son Shipyard, which had a large collection of historic warehouses and ship-building equipment. Other cities around the world have transformed their old dockland warehouses into markets, restaurants, and office space. A similar comparison would be Asiatique in Bangkok. Location: 3A Ton Duc Thang, District 1, HCMC. 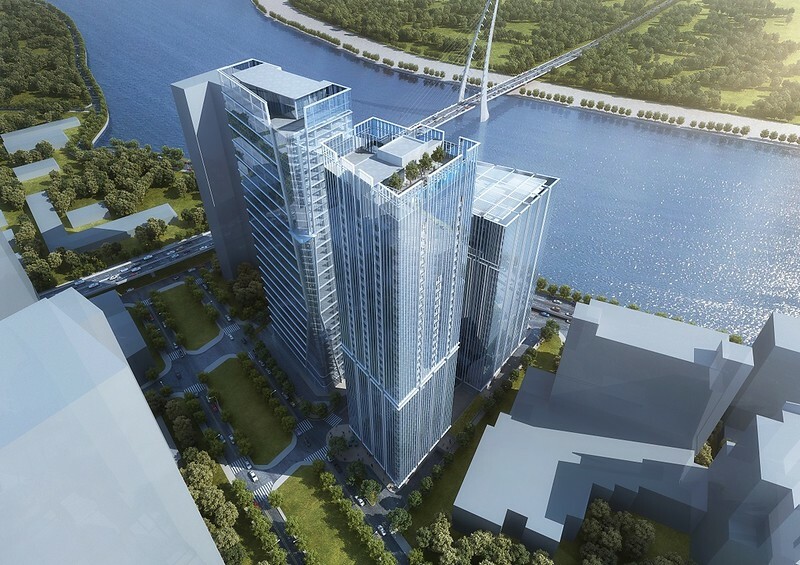 The Nexus will comprise of three towers on the District 1 riverfront. 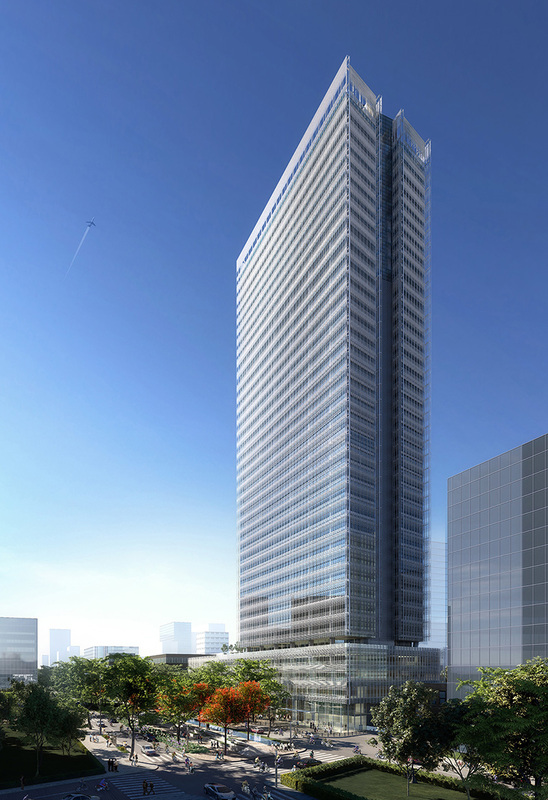 The towers will be a mix of offices and apartments, with food/retail on the lower floors. The land was previously occupied by 3A Station, which was an arts and market area. 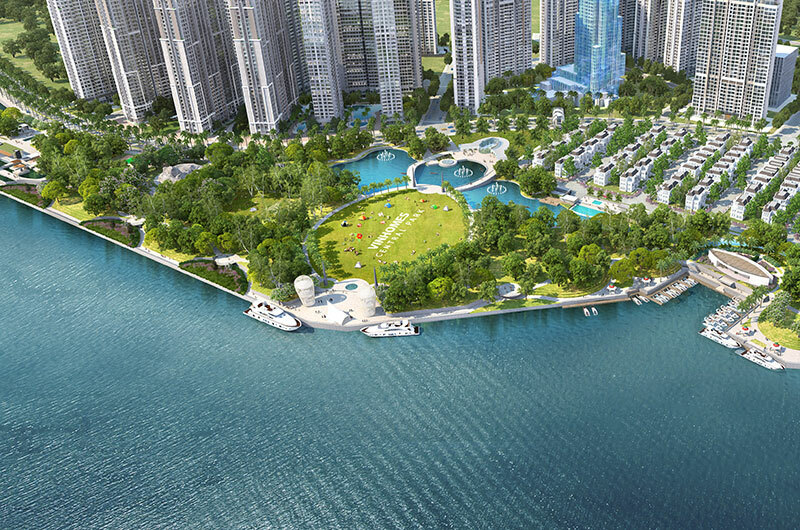 This is in the Golden River development and is being developed by Capitaland from Singapore. 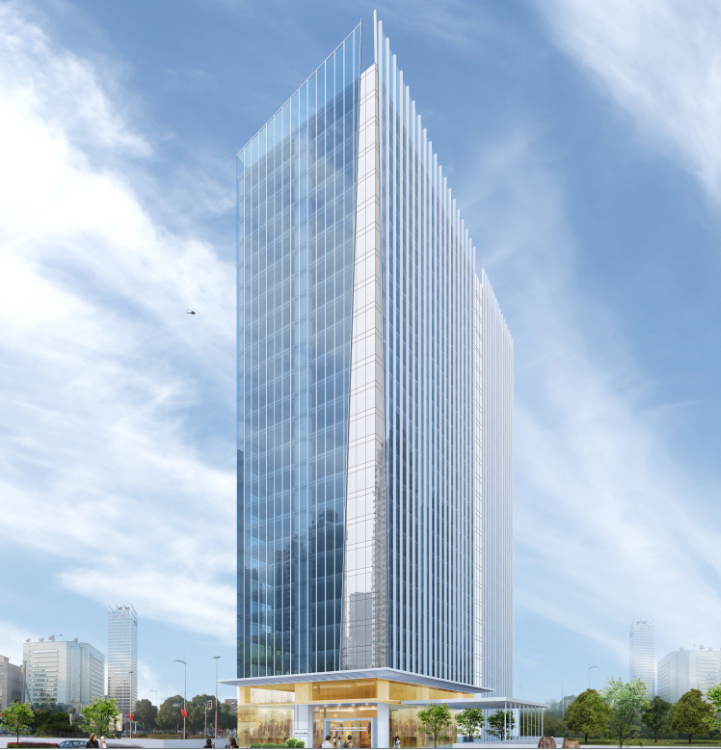 This office tower will be 240 metres and includes a distinctive feature of shuffled floor plates near the top of the tower. These cantilevered floors will provide space for outdoor activities and greenery. 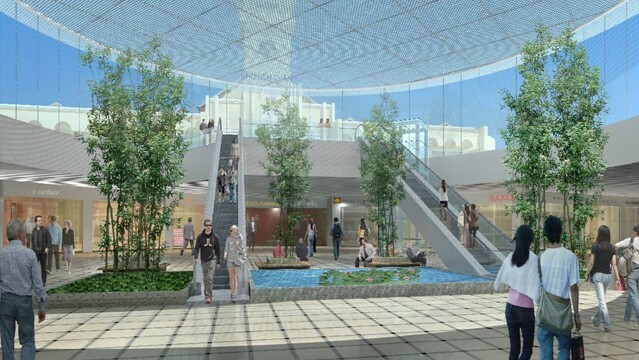 The podium will include a four storey shopping mall. Location: 31 Le Duan, District 1, HCMC. The Friendship Tower occupies the block of the former Vietnam-France Friendship Association. 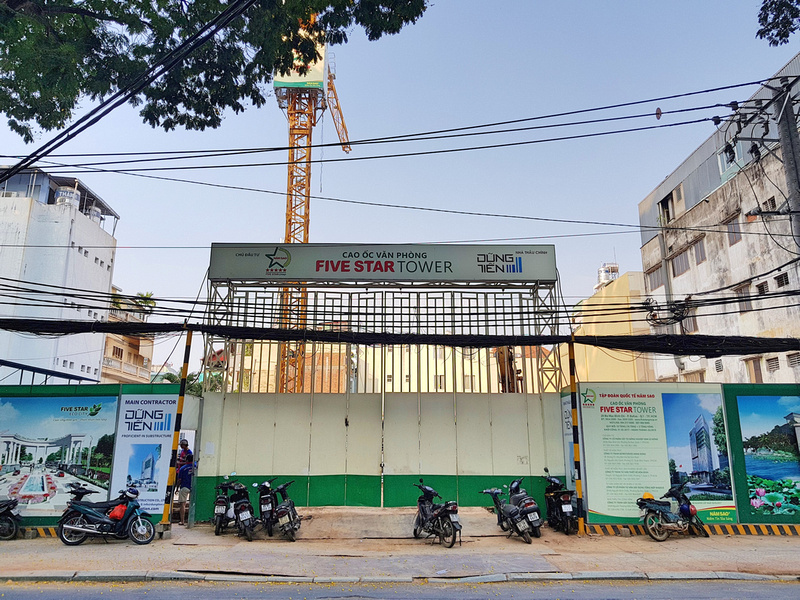 The property is between Deutsches Haus and Saigon Tower, and work began at the start of 2018. Location: Ben Thanh Market, District 1, HCMC. 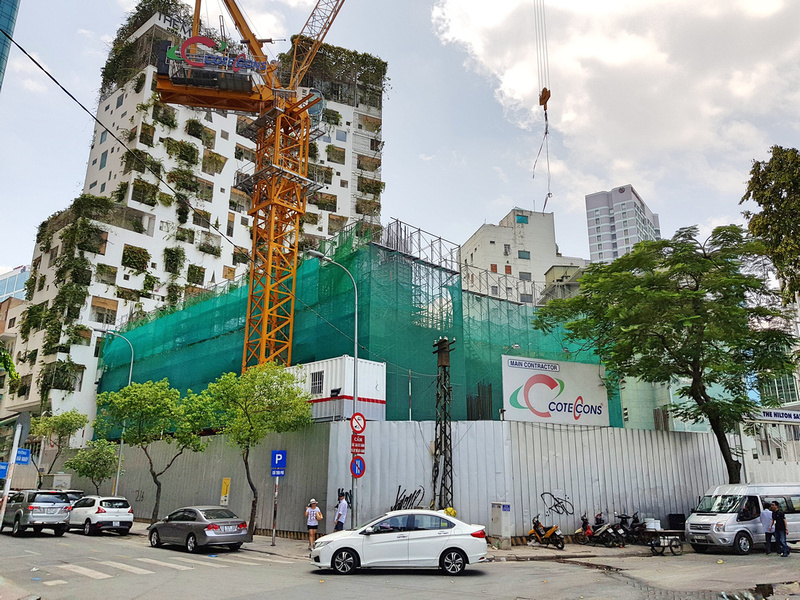 I’ve left the metro construction out of this list as it will be in the transport section, but the Ben Thanh Market and Le Loi construction requires its own section here. 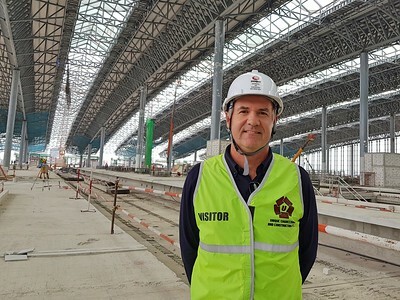 The Ben Thanh central station will eventually be a junction of three metro lines and it will feature an underground plaza. The traffic circle that was in front of the market has since been dug up, and it will be replaced by a pedestrian area. This is expected to be finished in 2020/2021. 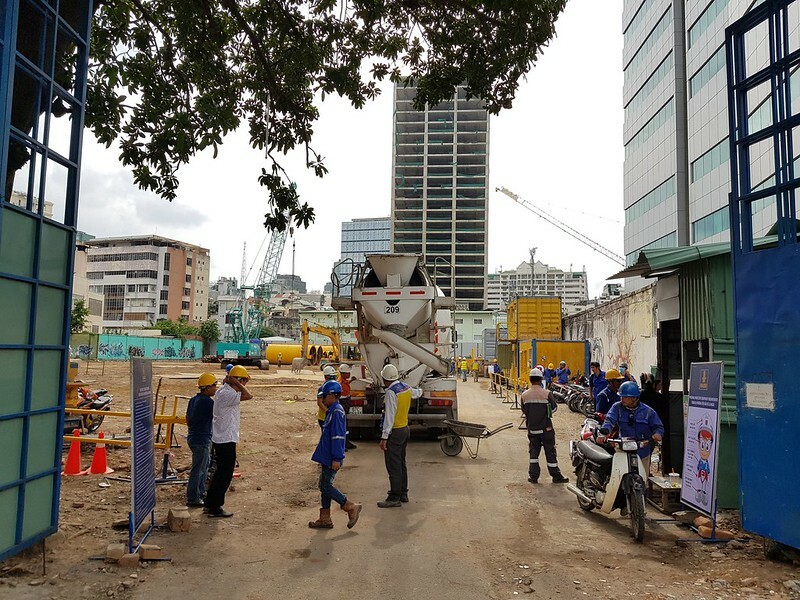 Between Ben Thanh and the Opera House, Le Loi Street will have an underground walkway/shopping area that will be above the Line 1 metro. Not much information has been released about this, so we wait for further updates on what it might look like. Location: 5 Me Linh Square, District 1, HCMC. There aren’t many details of this project, though the construction company has put together a great photo essay of the basement construction. 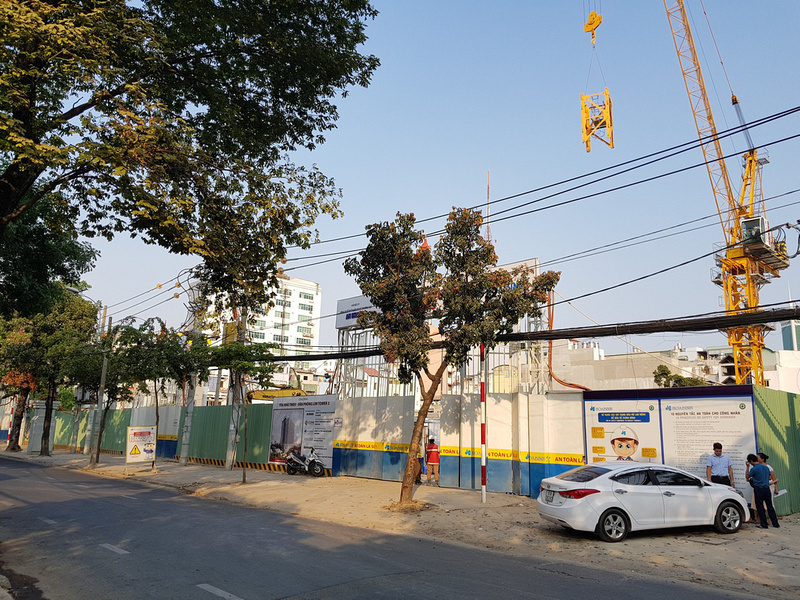 This is behind the Nexus project on 3A Ton Duc Thang, where the 3A arts precinct used to be. 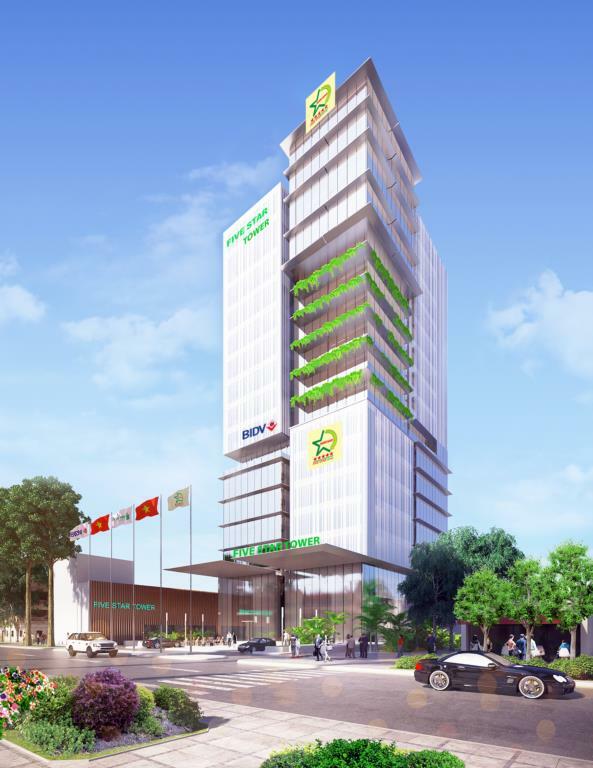 It is listed as 3A-3B Ton Duc Thang, though the Nexus project is that address. 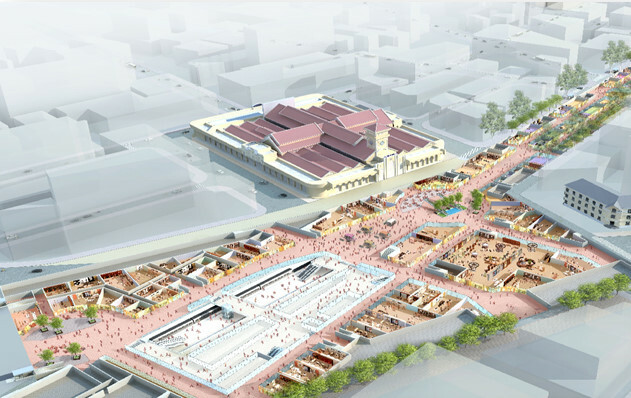 It will most likely be Le Loi Street, which will be extended past the Opera House and will be where the road where the trees are in the render. Location: 87 Cong Quynh, District 1. The Golden Hill complex was first announced in 2008 and has had a few false starts since then. A few different versions of the project are online, and the latest one is from 2013. This is a residential complex with a shopping mall in the podium. 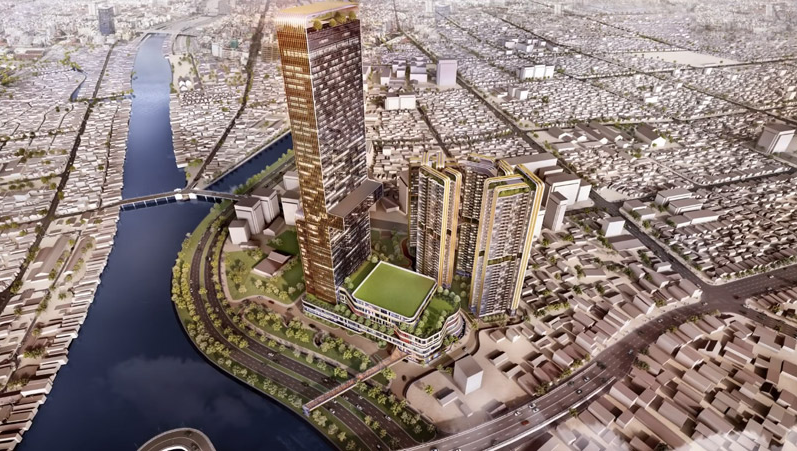 The project sits in the corner of a triangle of land that will form the Nguyen Cu Trinh Centre. Location: 628-630 Dai Lo Vo Van Kiet, District 5, HCMC. After many delays the Dragon Riverside City finally began construction in 2017. It was originally announced in 2010 and it has since undergone different designs to the current one. 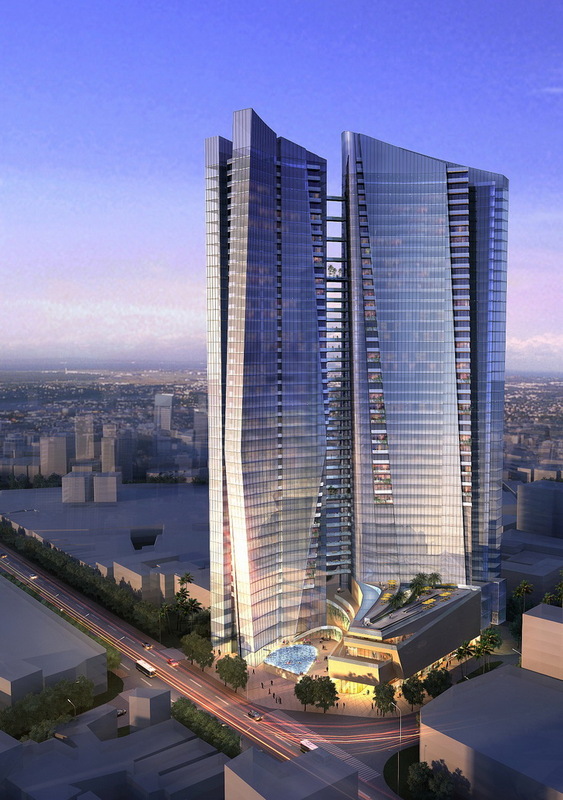 A 53-story Dragon Tower was one proposal, which has now been scaled back. Either way it will still be a new landmark for the west of the city. Location: Le Quang Kim, District 8, HCMC. 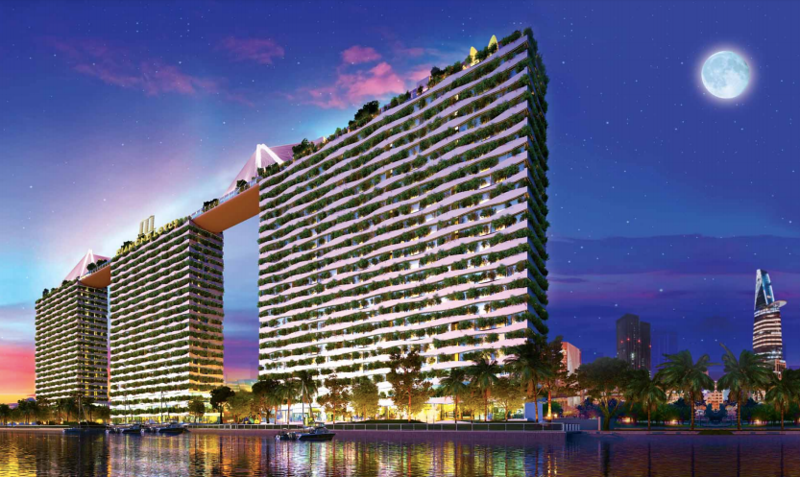 This riverside apartment development looks like a boxier version of the Marina Bay Sands in Singapore. Once it is finished it could be a catalyst for transforming District 8. Location: Thu Thiem New Urban Area, District 2, HCMC. 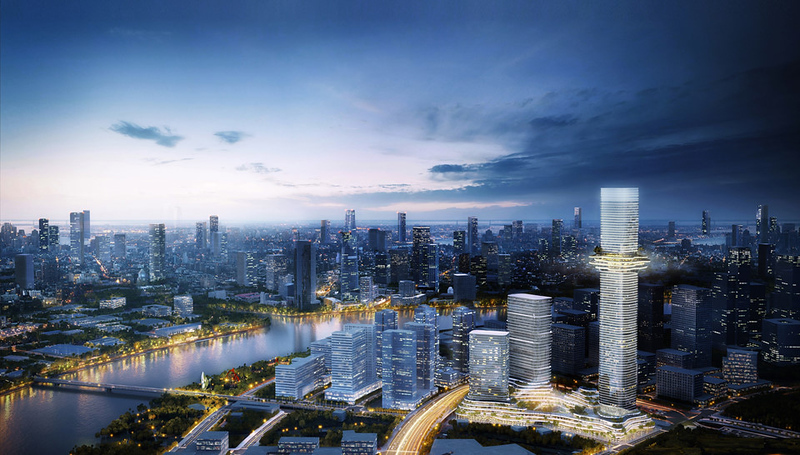 South Korean conglomerate Lotte won the right to develop prime riverfront land in the Thu Thiem New Urban Area in District 2. 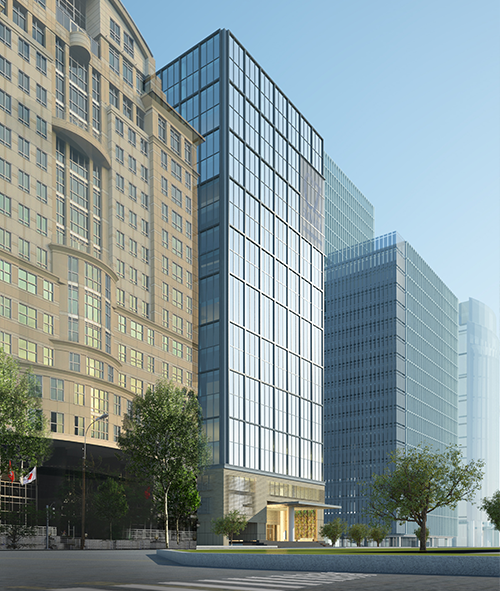 The project will include office, retail, and residential areas. The package includes developing roads and associated infrastructure that goes with building a city from scratch. What is being built here is still light on details, and my eyes are rolling to the back of my head as I type “eco smart city”. 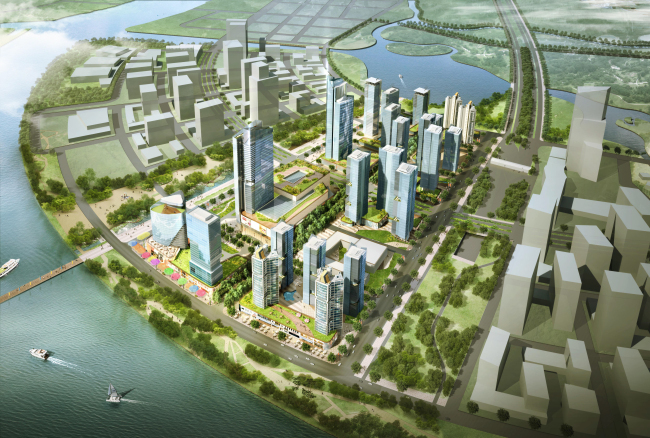 As with the Ecological Urban Area in Thanh Da, all building projects should already be smart and ecological. 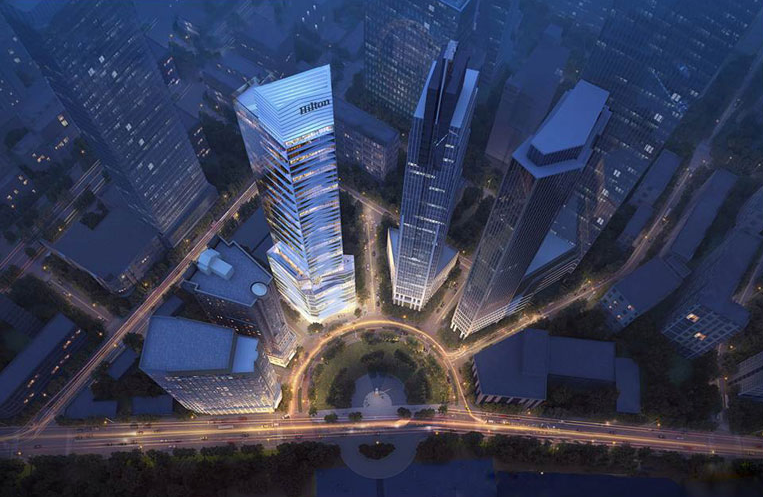 Having said that I am looking forward to seeing what designs the Lotte group bring to this project. Status: Site preparation has commenced. Next to Eco Smart City (separated by the park above the Thu Thiem tunnel) is Empire City. It’s location is easy to spot from the District 1 side of the river as it has a showroom building near the waterfront. This parcel of land will be developed in sections by four different companies. Construction was first announced in 2015, then in 2017 there was a major design change with a new tower by Büro Ole Scheeren. 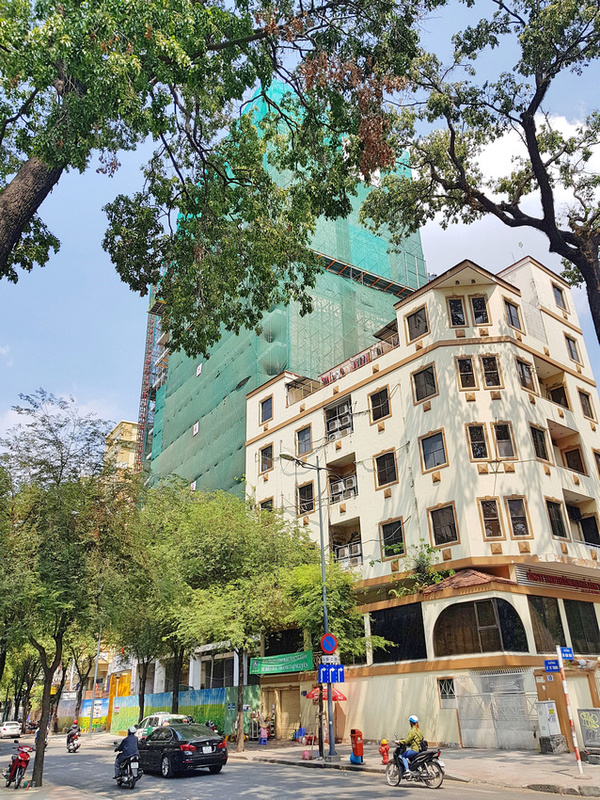 Like many of the projects in Saigon, finding accurate up-to-date information is hard going. 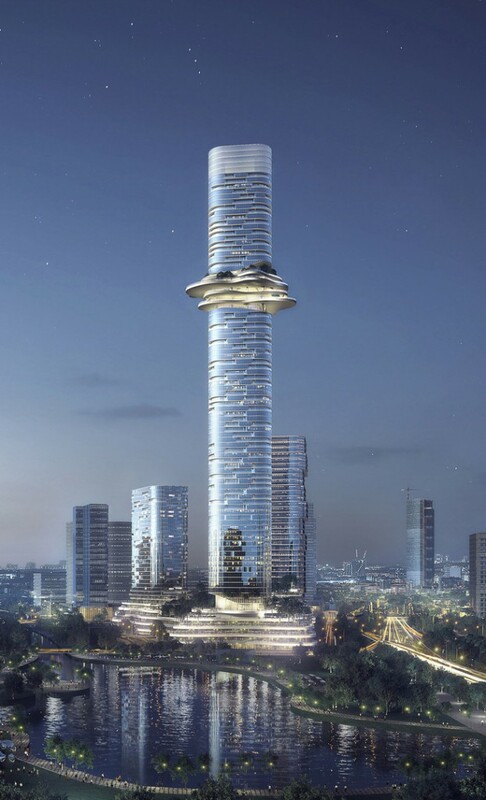 The original tower was going to be 462 metres with 88 floors, making it almost the same size as Landmark 81. The new tower is now reported at 333 metres, though it’s still being reported as having 88 floors. That doesn’t add up, so I will be on the lookout for updated details. Location: 29A Nguyen Dinh Chieu, District 1, HCMC. Location: 28 Bis Mac Dinh Chi, District 1, HCMC. Location: 11 Ly Tu Trong, District 1, HCMC. many thanks to your article and very well updated information. I’m interested to find out a bit more on these projects, how can I reach you? you can use the contact form at https://livinginasia.co/contact/ or by email, livinginasia.co(at)gmail(dot)com. Thanks. Great site, interested to know the project process, ie how an international subcontractor can bid for these projects? Hi Lee, good question. I will look into finding someone who knows if they can post an article here.